Especially on very hot days, a trip to the Jardín Botánico de la Orotava is highly recommended. In the shadow under the trees, visitors can find some clam in the city. 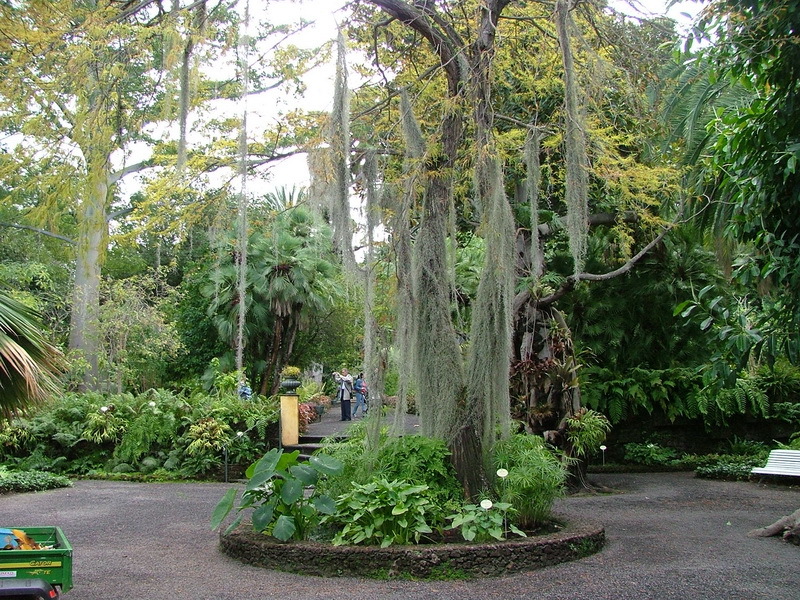 The botanical garden in Tenerife was installed in 1788 by King Karl III of Spain. He planned to create a space for plants brought back from expeditions to slowly get them used to the climate before planting them out in different royal gardens. Acclimatising worked quite well in Tenerife but not all plants survived the climate of the Spanish mainland. Over time the Jardín Botánico de la Orotava grew considerably in size and many fascinating plants await the visitors. Almost 400000 visitors visit the Botánico every year where they get to see over 5000 different plant- and 120 tree species. About 2 hours should be set aside for a trip to the garden, otherwise visitors might have to rush through the area. I was particularly impressed by the strangler fig. With its aerial roots and all the gaps and crevasse, the tree looks light and airy. I can imagine that an entire forest full of these trees is quite the sight. Birds feed on the seeds of the strangler fig. However, birds cannot digest the seeds and dispose of them with their excrements. In case this happens while the bird is sat on a branch, the seeds will stick to the tree due to a tacky seed pod. The strangler fig tree will immediately start to sprout there. It will start to grow its aerial roots that will soon reach all the way down to the ground. 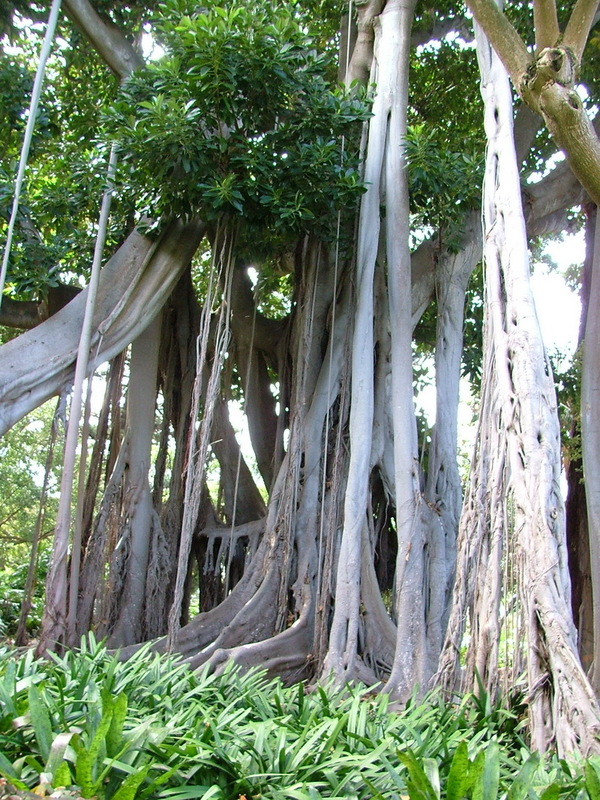 As soon as the roots reach the ground, the tree will grow even faster, and more aerial roots will start to appear. After some time, the roots begin to wrap the host tree, which will eventually die and decompose, leaving the characteristic cavity of the strangler fig. There are many other fascinating plants to discover in the botanical garden. I, for instance, was unfamiliar with the so-called sausage tree. 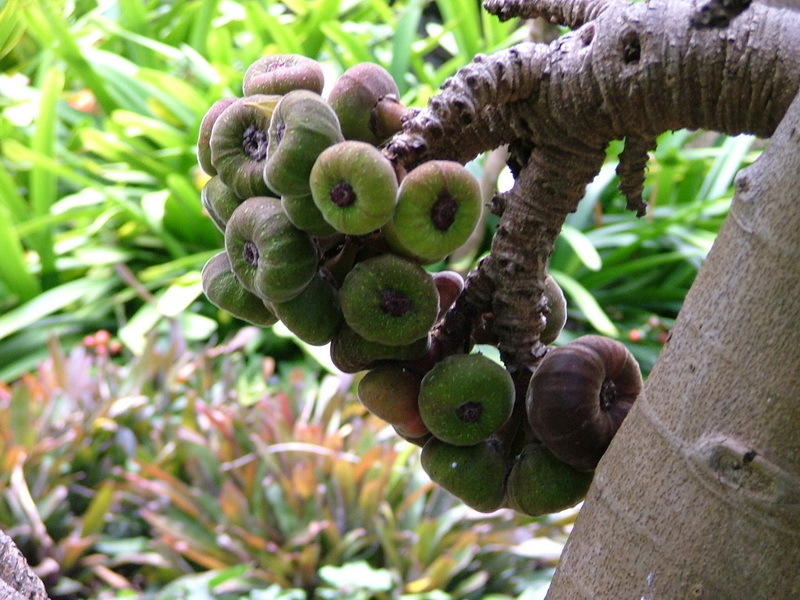 This west African tree carries fruits that resemble the shape of sausages. These fruits are about 50 cm long and packed with starch and protein. They are a delicacy for elephants and giraffes. 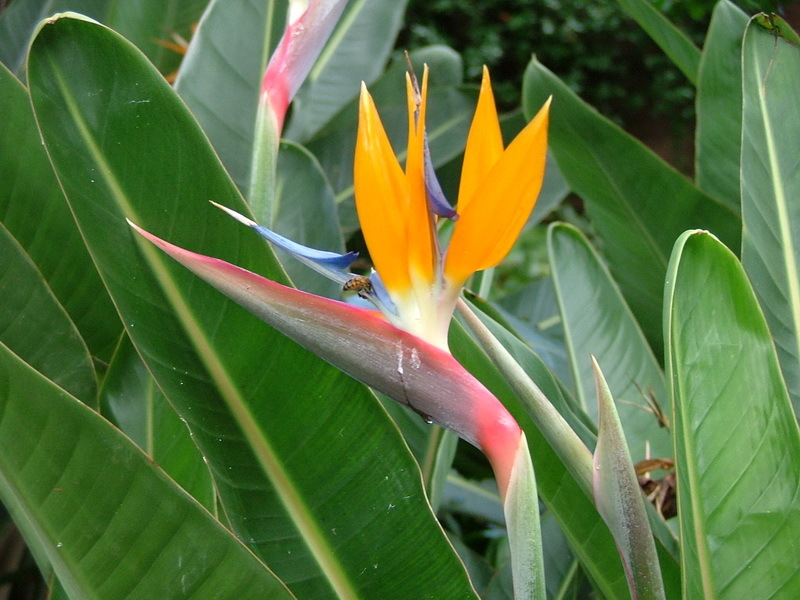 But also palm trees and wonderful plants can be found in the Jardín Botánico de la Orotava. I think that a visit to Puerto de la Cruz is without a doubt well worthwhile. This abundance of plants from all across the planet in one spot in the open is a sight to see.